It is pouring here in Shanghai - another grey day in the long, wet, rainy season that we're having instead of summer. The contrast to the weather on July's river trip could not be more stark. 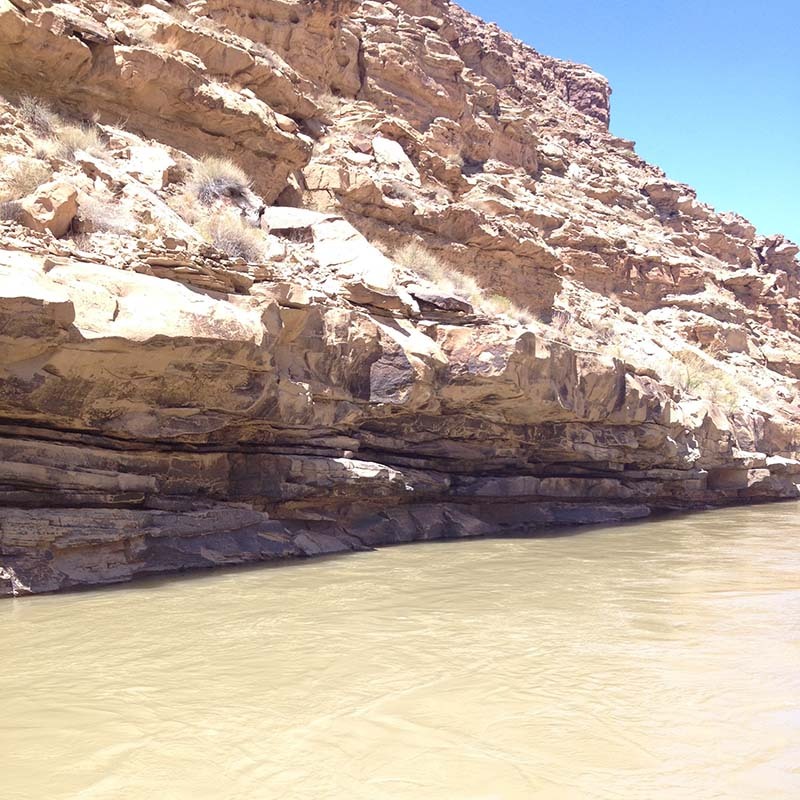 Today, I wanted to share some images of the scenery and geology of the Green River. There's a tiny "window" in the photo above on the left where you can see sky through the cliff face. Eventually, wind and erosion may turn this into a natural arch. Above on the right, you see the profile of a formation known as Nefertiti Rock for its likeness to the famous bust of the ancient Egyptian queen. Below, some images of cliffs coming right down to the water, and the river at evening.